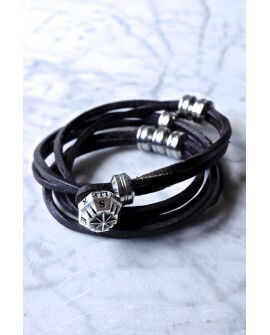 When Blitz Motorcycles adopts the uncluttered interpretation of L'Anguille's wristband, it is then stamped with the iconic lightnin' of the Parisian garage. 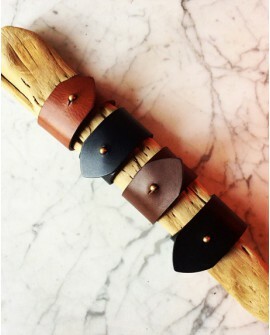 Each wristband, made of vegetable-tanned leather, is handcrafted upon demand. 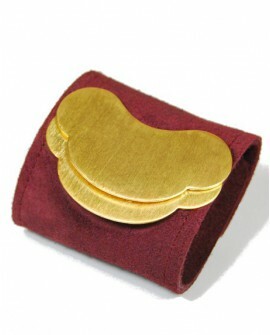 This wristband, result of the first collaboration between Jicqy and L'Anguille, associates a sensual crust of calf with a magnificent piece made of gilt brass. Limited edition. 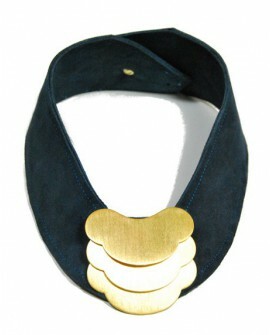 This necklace, as a result of the first collaboration between Jicqy and L'Anguille, associates a sensual crust of calf with a magnificent piece made of gilt brass. Manufactured in Paris. Limited edition. 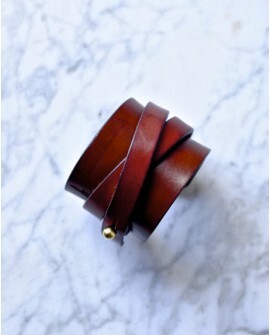 The simplicity of this wristband, made of vegetable-tanned leather is a guarantee of good taste. Over time, its patina will surprise you. Each wristband is made upon demand. 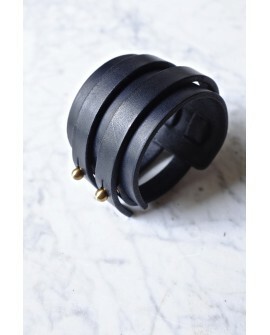 The handcuff Spartacus is the first interpretation of the wrist band realized by L'Anguille. This type of wristband was worn by certain labourers to support their wrist. 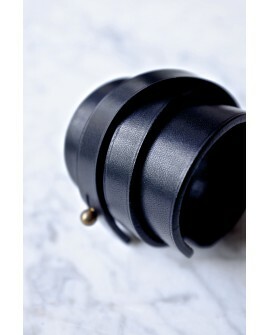 The handcuff HÉPHAESTOS is the second interpretation of the wrist band realized by L'Anguille. This type of wristband was worn by certain labourers to support their wrist.